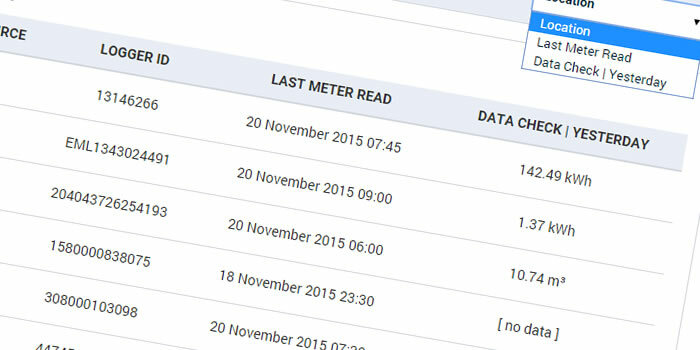 Utilities Manager data server checks daily for data loggers not transmitting the automated meter readings (AMR). Data continuity and integrity is important for our Bureau Team to make the daily site reviews. The reasons for data not being received are numerous. In this interconnected data system servers talk to each other, cellphone networks connect to servers, internal modems collect data from the meter or a pulse counting data logger device is cabled to the meter, mbus comms between buildings and local radio networks are all in the mix. For meters below ground in access chambers a skip might be placed above it disrupting the signal. Whatever the reason for data interruptions out Bureau Team will make a note and monitor the location for data recovery. If data delivery is not restored a UM staff member or appointed local sub-contractor will make a site visit to check hardware connections and environmental factors to restore our client's daily data service. In Utilities Manager Administrator Control Panel we have many reports and tools to monitor data. For client end-users we show a location status report which confirms if automated meter readings were received yesterday.